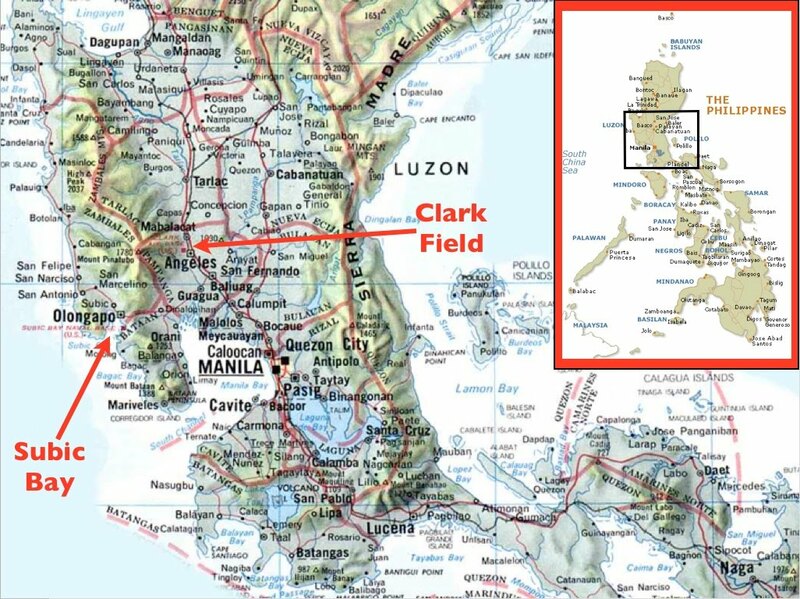 In 2011, I visited Clark, Philippines, the former US military base in the Philippines and it became the largest American base overseas during the height of the Vietnam War. In 2011, Mark Gilbore, a Filipino Amerasian, was my tour guide of the infamous Clark’s red light district, “Fields Ave.” with its infamous girlie bars and nightclubs. 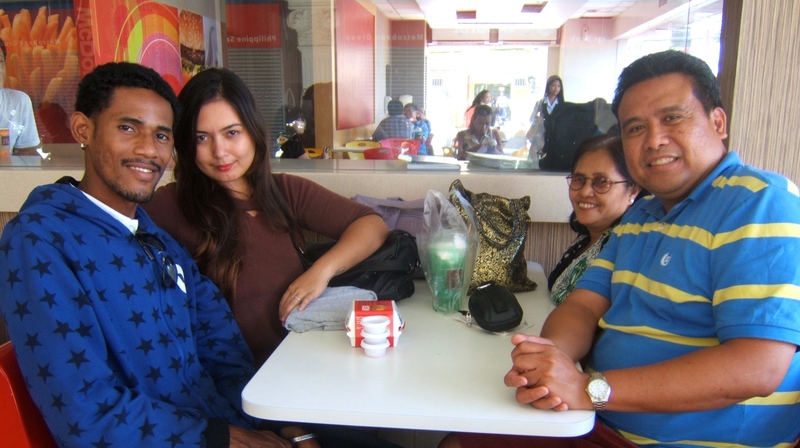 In August 2014, three years later, I’ve met up again with Mark Gilbore in Clark, Philippines. A lot of things has changed at the same time a lot of things stayed the same, including the increasing poverty of the thousands of Filipino Amerasians left behind. I will share my personal thoughts and impressions of seeing Clark, Philippines three years later and the plight of the thousands of Filipino Amerasians left behind. 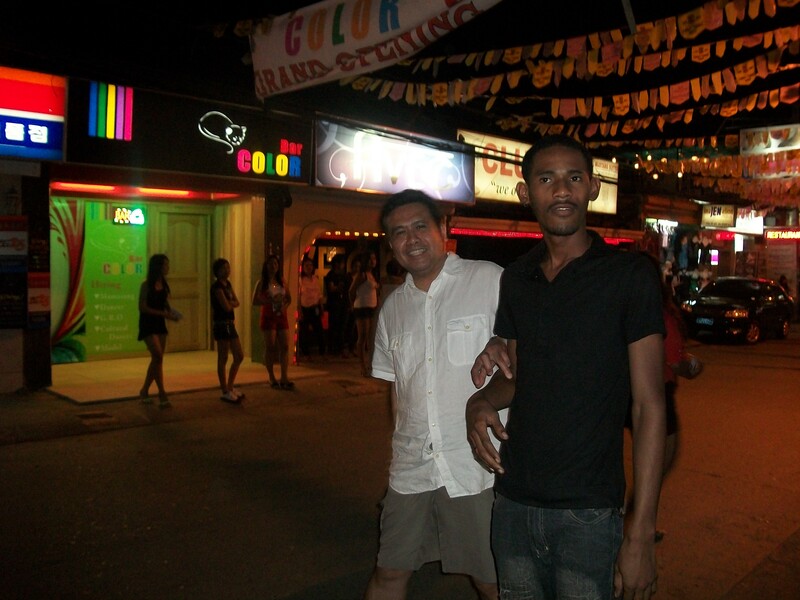 In 2011, I remembered walking down Fields Ave. with Mark and I was surprised by the thriving nightclub scene in Clark, Philippines. I thought those girlie bars disappeared in 1991 when the US military withdrew from Clark. I was wrong. Both sides of the street of Fields Ave. were lined up with bustling night clubs and girlie bars. Scantily clad Filipino women were posing in front of the bars and were calling passersby to come inside their bar for a drink. Three years ago, I remembered many of the clubs at that time were getting ready for ‘Australian Night’ as many older Australian male tourists frequented the area. In 2014, not much has changed. The girlie clubs are still thriving with older male tourists and this time men not just from Australia are coming but also from Western Europe and the US. In 2012, the Philippine government under pressure from Chinese claims to the Philippine Seas, agreed to the return of American forces to Clark. When the Philippines kicked out the US military in 1992, US servicemen left at least 50,000 Filipino Amerasian children. But none has been recognized as American, despite US paternity (Al Jazeera: April 2014). In contrast, Amerasians from other countries including Vietnam, Thailand and Japan were recognized and offered US citizenship. In 2011, the Bayanihan Foundation partnered with Wedpro, a local Philippine non-governmental organization (NGO) to help established the group, United Philippine Amerasians (UPA) a group of young Filipino Amerasians to speak on their own behalf. For the last three years, I am proud of the accomplishments of the young Filipino Amerasians and the United Philippine Amerasians (UPA) but the same I’m sad that their plight as a whole has not improved. In August 2014, I’ve met with the young leaders of United Philippine Amerasians Christine Jackson and Mark Gilbore. In 2014, the Bayanihan Foundation has sponsored successful 4th of July and Filipino Amerasian Day celebrations honoring the accomplishment and recognition of Filipino Amerasians in the area. 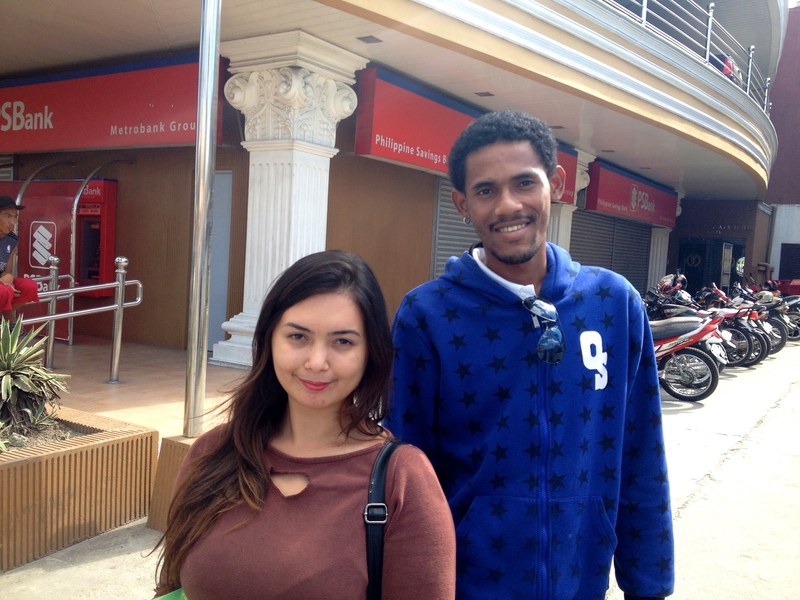 Christine Jackson, one of leaders of UPA, has secured a job at a local call center in Angeles, Pampanga, Philippines. Mark Gilbore, recently got married and has a new baby girl. However, Mark and many Filipino Amerasians continue to be unemployed. They face relentless discrimination and racism. In a Catholic society that stigmatize illegitimate children, Filipinos deploy an arsenal of slurs against Amerasians: iniwan ng barko (“left by the ship”) and babay sa daddy (“goodbye to Daddy”) among them. Black Amerasians are often called “charcoal,” or worse (Lapinig, Forgotten Amerasians: New York Times, May 2013). Many Amerasians also struggled to finish high school and are often employed with low waged jobs and are struggling to make ends meet. 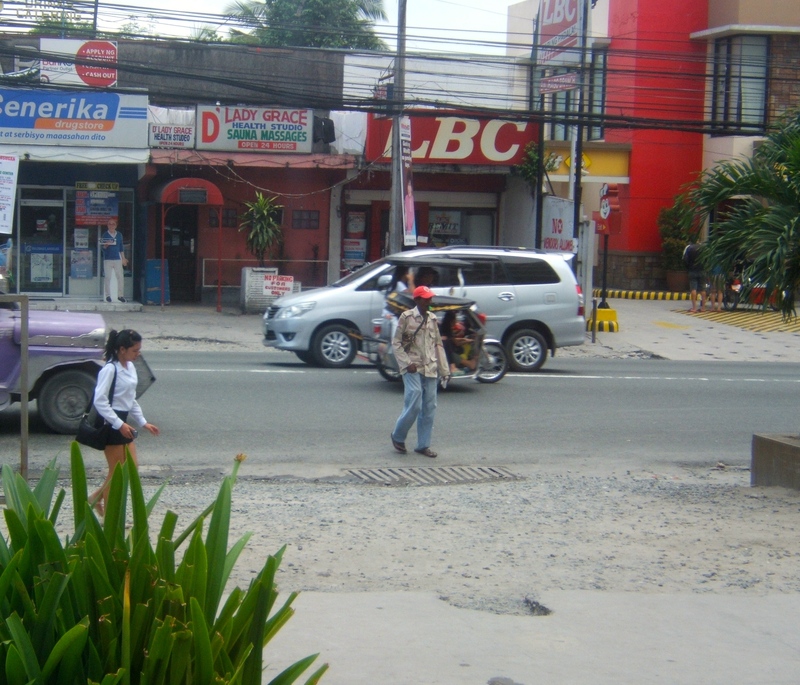 I saw some Filipino Amerasians panhandling and begging for food. I saw one Amerasian helping parked cars and working for coin tips to earn a living. For the last three years, I don’t think that the plight of Filipino Amerasians has improved despite the Bayanihan Foundation’s meager efforts to help. The policy advocacy outreach in the US has not increased and the Filipino Amerasians continue to be forgotten. I encouraged both Christine and Mark to continue their outreach and education efforts for Filipino Amerasians to be heard and publish the hundreds of personal stories and photos they collected. I also encouraged them and other Filipino Amerasians to enroll in the Philippines’ Alternative Learning System (ALS), a government program that offers a laddered, modular non-formal education program for dropouts in elementary and secondary schools, out-of-school youths. 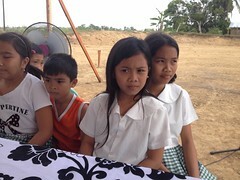 It is part of the education system of the Philippines but an alternative to the regular classroom studies where Filipino students are required to attend daily. The Bayanihan Foundation could help support some Filipino Amerasians with educational stipends so they could complete their education, learn a skill and earn a better living. The Bayanihan Foundation will also continue to spread the word in the US and hopefully advocate to change US policies to welcome Amerasians in the US like their other counterparts in Southeast Asia. This entry was posted in Amerasians, Diaspora Giving, Philippine poverty and tagged Amerasians, diaspora giving, Poverty. Bookmark the permalink.